This free crochet pattern is a variation of my fingerless gloves as you basically start out with the same pattern and change it when you come to the heel. The basic pattern is crocheted in the round and is designed to fit a woman who wears a size 9-10 medium shoe. 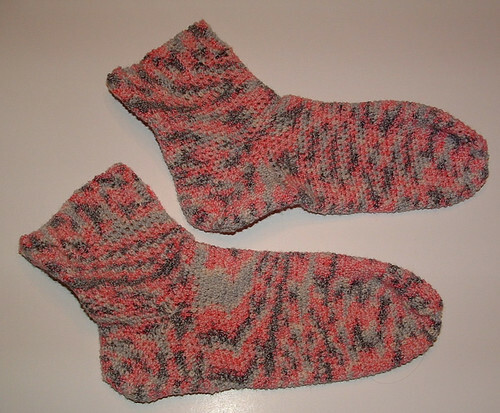 I also crocheted a pair of these socks smaller and I have included those changes at the end of the pattern below.